or manually reboot it after its finished. and plug ethernet cable into LAN port of the G2v1 unit. 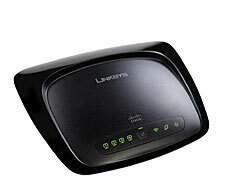 seconds for it to reboot on its own, if it does not, then powercycle the router manually. 4. Tftp the DD-WRT firmware to the router, use "dd-wrt.v24-10709_NEWD_micro.bin"
6. Don't forget to set your computer back to automatically obtaining DHCP and DNS. Posted: Thu Oct 30, 2008 17:07 Post subject: woo! That's awesome Eko, thanks so much for going through that. Going to give this a go this afternoon, very exciting stuff! Edit: Just finished installing and 24SP2micro is up and running. Didn't run into a single problem. Awesome!! Dammit. You beat me to the punch. I was getting ready to see if someone could help me with working on VxWorks programs to get this puppy ready. Thanks for the info. I'll try it out later today. Is there a generic MAC address, or will it use the MAC address on the unit? You keep the MAC addresses of your unit. NO generics like the old V5,V6 flash methods. Posted: Thu Oct 30, 2008 20:34 Post subject: Re: woo! this improves wireless speed a lot. Great work, Eko and Tornado (and thanks to redhawk as well)! Why does Linksys even bother adding checksums? Great work! Why does Linksys even bother adding checksums? And why do they put Security Tamper-proof Torx screws in the unit too....didn't slow me down at all. Great work guys, just tried it, and it's working!!! Now trying to configure WDS. Tell me about it. I have a small case I paid about $10 or $15 4 years ago, and it has nearly every bit one might come in contact with. I mean I have some freaky looking bit heads. I had some phillips screws that were the same length and thread that I replaced the security screws with. I make sure to grab the new files. I'm going to bridge it with my GS and G-TM models and see if there might be any issues in that area. I might also see if I can do a hardware mod to add removable antennas on the unit. I still have a few broken BEFW11S4 's that I can steal the antennas from. The internal antennas on the WRT54G2 are soldered to the board identically to the BEFW11S4. Just need to see how I can drill the case, or figure a place to mount them. I still wonder about these devices. No external antennas? What about jumpers to connect high gain antennas? And why have providers gone so far away from allowing bigger antennas from being added. Linksys used to charge an arm and a leg for 3.5dBi ants...about twice what I used to get 14dbi antennas for. Seems they would hurt their business, especially for people with larger houses...( especially those spread out one story ones ). It's probably a parent decision by Cisco. I can only speculate. For consumer grade items, they probably wanted to make it look more aesthetically appealing. Personally, I think it looks like a half melted Frisbee and I liked the stackability of the older units. Granted, the older units needed a special mount to mount them on a wall. The antennas can be easily unsoldered and replaced with removable antennas. however, because of the smlim design, you can't use the typical Rubber Duck style antenna. I removed some SMA antennas from a couple of broken D-Link APs. The connector and all. I haven't installed them yet, but they should fit quite nicely. I do have a few various adapters, so an SMA-TNC adapter should work fine if I want to use a regular Linksys style Rubber Duck antenna. When I actually do the mod, I'll post pics. Yeah...I think you are correct...Cisco tried to give it more eye-appeal....personally, I refer to it as a UFO device. (I didn't start that phrase...someone else on the board did)....but the antennas in this thing are HORRIBLE.